Situated in the modern business district of Andel, bordering the historic city centre, the NH Prague consists of 2 separate buildings connected by a cable car, and offers panoramic views over Prague. Late check-out is available free of charge on Sundays until 17:00. The in-house health centre features sauna and steam bath facilities, massage treatments, and a fitness centre as well. Set right next to an entertainment and shopping centre, NH Prague is located a 5-minute walking distance from the Underground and Tram Station Andel and a 15-minute drive away from Prague Airport. NH Prague Situated in the modern business district of Andel, bordering the historic city centre, the NH Prague consists of 2 separate buildings connected by a cable car, and offers panoramic views over Prague. Late check-out is available free of charge on Sundays until 17:00. The in-house health centre features sauna and steam bath facilities, massage treatments, and a fitness centre as well. Set right next to an entertainment and shopping centre, NH Prague is located a 5-minute walking distance from the Underground and Tram Station Andel and a 15-minute drive away from Prague Airport. 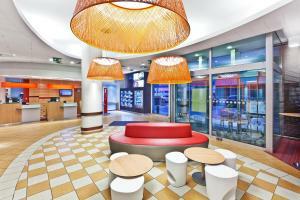 Ibis Praha Mala Strana price per day from €44 This modern hotel is situated close to Prague's historical district of Lesser Town and the Novy Smichov shopping centre. It offers en-suite, soundproofed rooms with air conditioning and hairdryers. 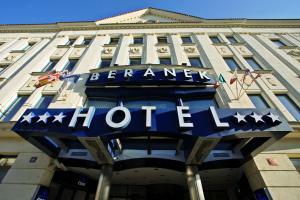 Free Wi-Fi access is provided throughout the Ibis Praha Mala Strana and garage parking is available. 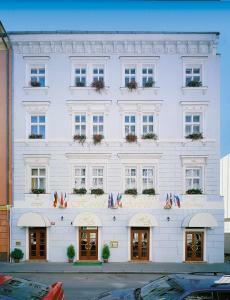 The Ibis Mala Strana features a bar as well as the L’Estaminet Restaurant, which serves Czech and international cuisine based on seasonal products. 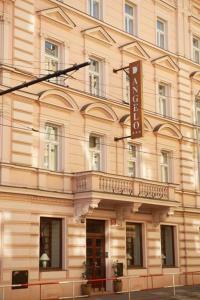 Restaurant Atelier Red & Wine, Prague Guest reviews: 9,4/10 ~ 1,1 km from NH Prague Address: Rosickych 603/4, 15000, Prague. Cuisine: French. Restaurant U Kroka, Prague Guest reviews: 7,4/10 ~ 1,6 km from NH Prague Address: Vratislavova 12, 12800, Prague. Cuisine: Czech. 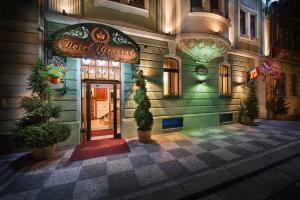 Restaurant Estrella, Prague Guest reviews: 9,4/10 ~ 1,8 km from NH Prague Address: Opatovicka 17, Prague. Cuisine: Vegetarian. 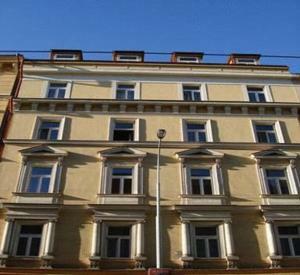 Restaurant Coda, Prague Guest reviews: 9,2/10 ~ 1,8 km from NH Prague Address: Trziste 9, 11800, Prague. 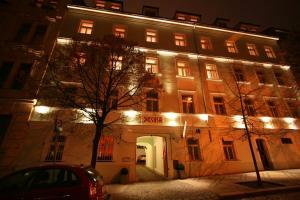 Restaurant U magistra Kelly, Prague Guest reviews: 9,2/10 ~ 1,8 km from NH Prague Address: Sporkova 521/5, 118 00, Prague. Cuisine: Czech, International.